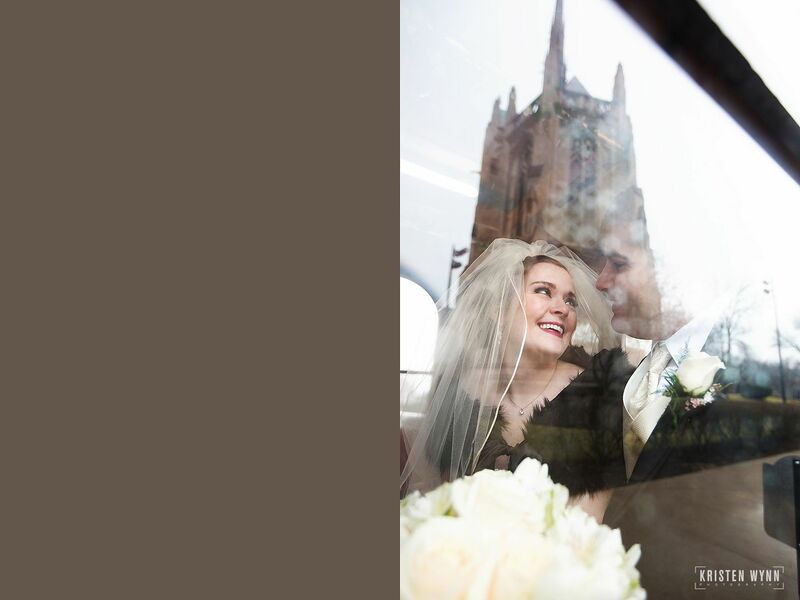 So you are thinking about booking Heinz Chapel for your wedding? 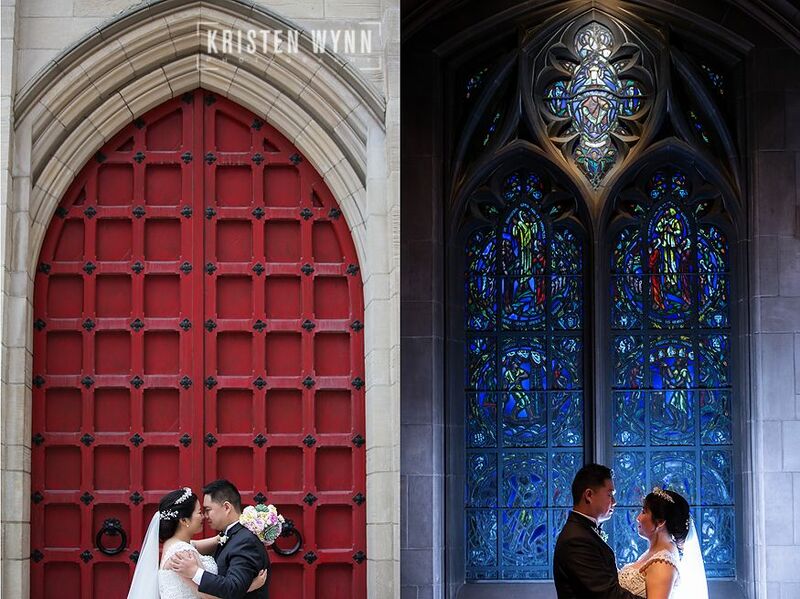 Heinz Chapel weddings on the campus of the University of Pittsburgh are a tradition – over 150 couples a year, according to a February 2016 Pittsburgh Magazine article by Shaune Marx, get married there. Heinz Chapel and St. Paul’s (just down the block!) are the two churches we probably do the most ceremonies in and we LOVE them for many, many reasons. 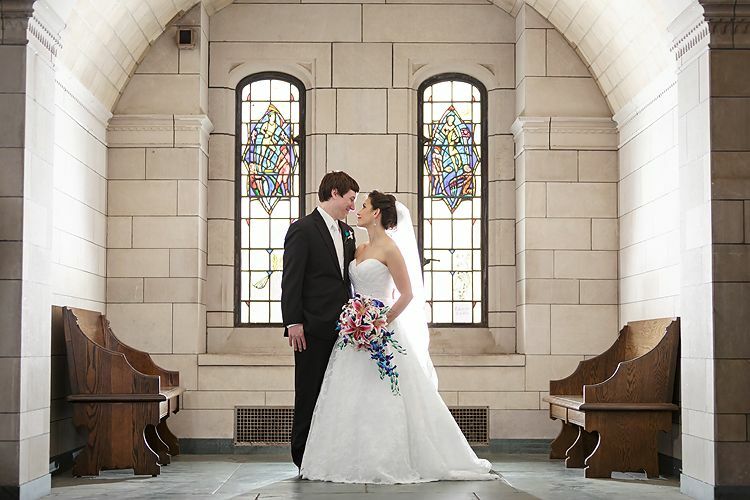 The chapel was built in 1938 and the first wedding ceremony was held there in 1946. 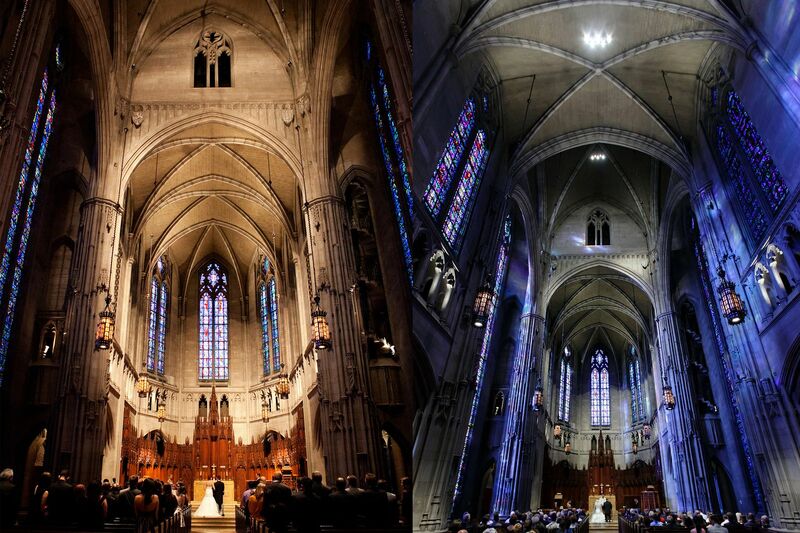 A few months back, my sweet friend and fellow photographer Alison Mish alerted me to a change on Heinz Chapel’s website. Alison herself was married there! 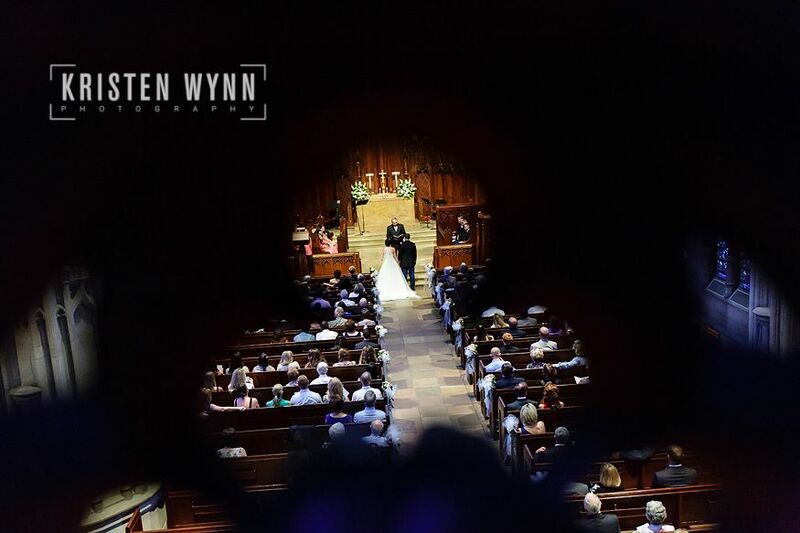 It really fits my style as a photographer as well – my couples tend to love architectural details, shadow and highlights, drama, tradition, and large spaces. 2. They have the weddings down to an exact science. Their coordinators are always friendly and organized, but not pushy! Their time slots are actually MORE accommodating than many other churches where we work. 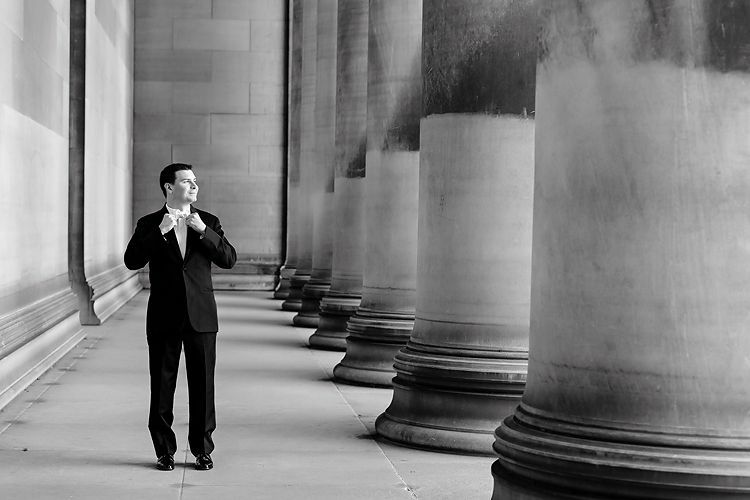 If you are having a very long ceremony, you do have the option to book two time slots for an additional cost. It doesn’t feel like a “wedding factory” at all but rather a well-oiled machine. 3. They are fair with their photography rules! 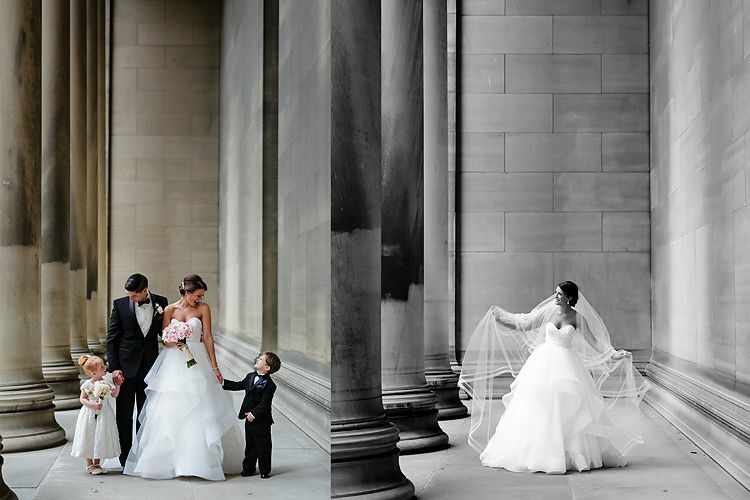 It’s a great place to photograph in terms of rules – they really are in tune with what today’s brides and grooms want in photography. 4. They now require every wedding to reserve parking. This is wonderful – this especially comes in handy on crowded weekends such as graduation, homecoming, parents’ weekend, etc. 5. You don’t need much décor. 6. 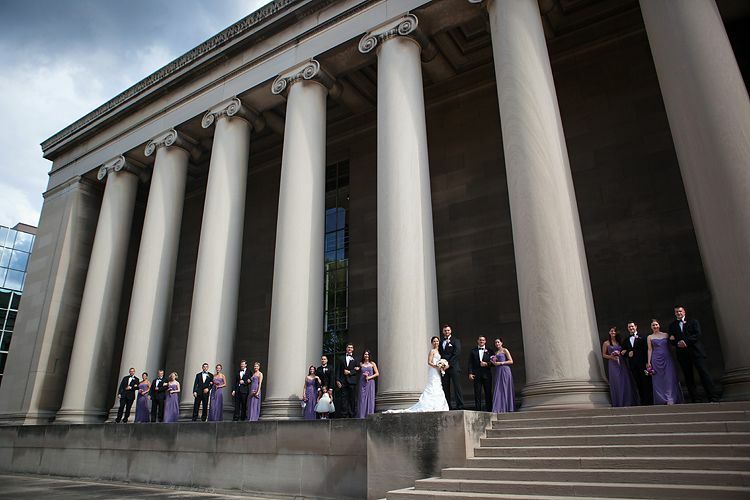 The rain plan locations right on the campus of Pitt are wonderful – you have the Cathedral of Learning and the CMU Columns right across the street for couples’ photos. Check out the great rain plan photos below, just across the street from Heinz. 7. They now have air conditioning. Yes, yes, they do! Because of all the stone in the church, it was never excruciatingly hot in the church – we’ve been to much hotter. But sometimes, you’d see some of the guests looking a bit warm. They now have AC – that’s amazing! 8. It’s non-denominational and open to all faiths. It’s also available for civil ceremonies for those not religiously inclined. You bring your own officiant. 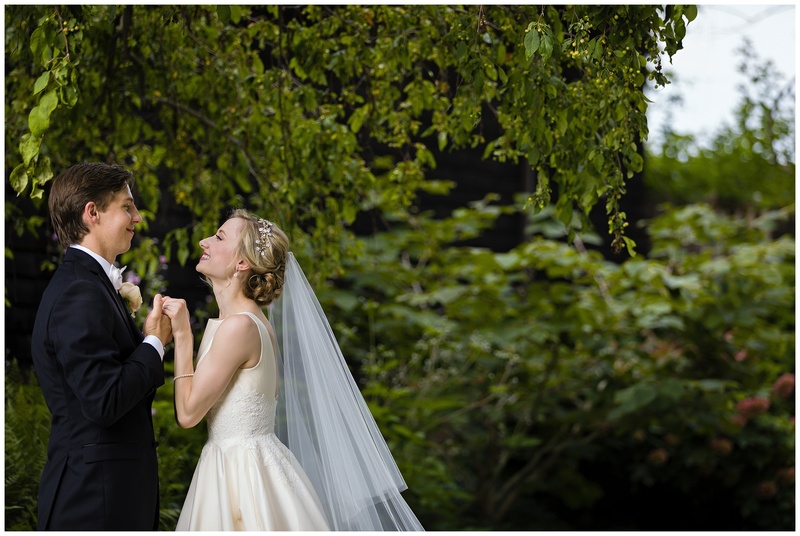 For couples who are not religious and not interested in an outdoor ceremony, there are not a lot of locations to choose from in the Pittsburgh area. Heinz Chapel fits the bill, as does First Unitarian in Shadyside. 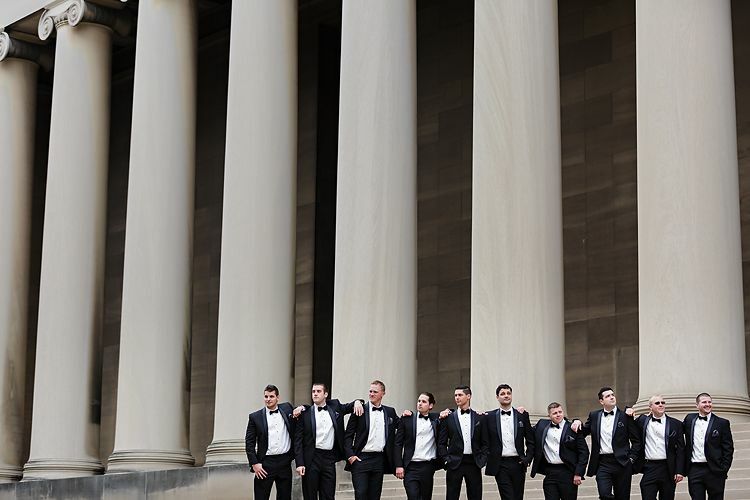 Heinz Chapel does have music restrictions (the big organ is one of the reasons it is so popular for weddings) and restrictions on alcohol during ceremonies, so make sure to check those out before you book if you were planning something very off the beaten path for your ceremony. 9. It’s convenient to so many reception locations and hotels. 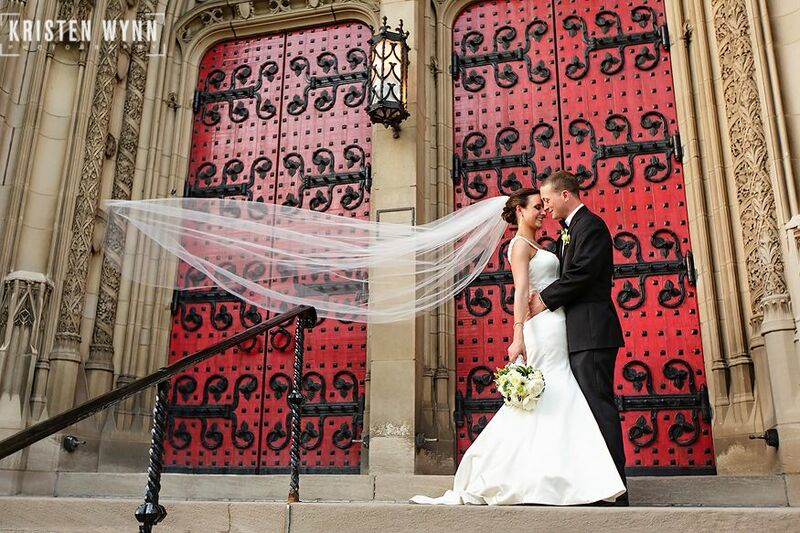 Heinz Chapel is walking distance to Soldiers and Sailors, Pittsburgh Athletic Association, and the Wyndham in Oakland. 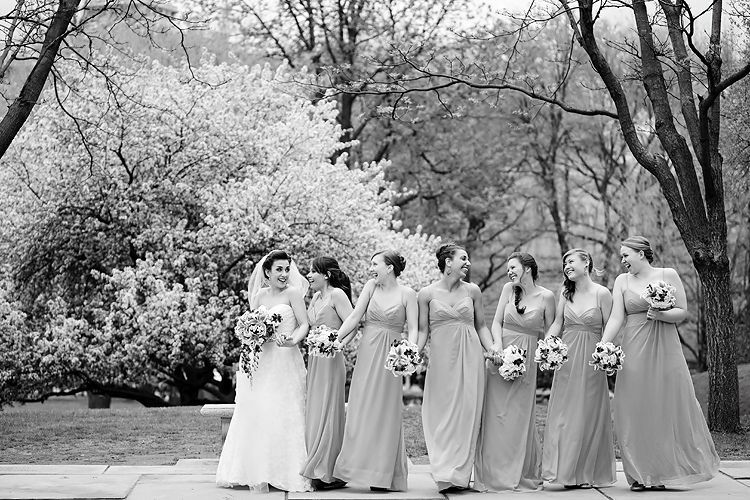 It’s convenient to every other reception location in Pittsburgh, such as Phipps, Wyndham Grand, Renaissance Hotel, Heinz History Center, PNC Park, Heinz Field, Omni William Penn, Pittsburgh Opera, and many more! 10. It looks great even at night, in the dark. 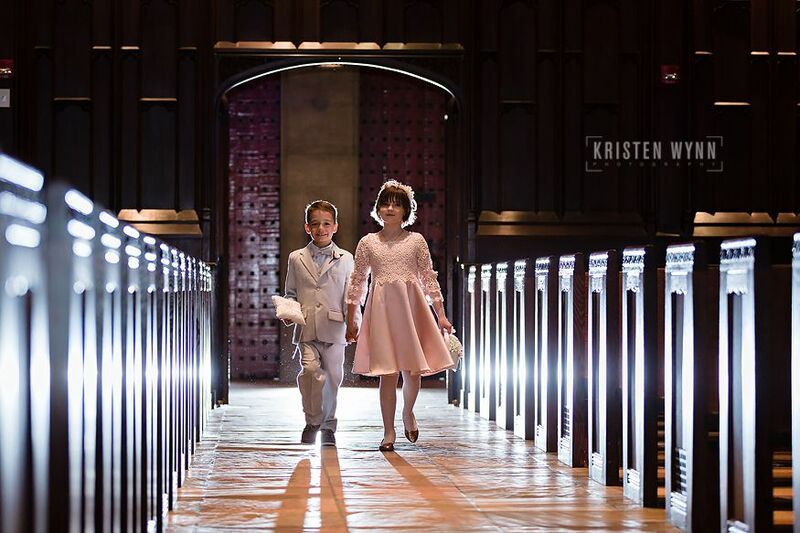 They can light up the outside and the blue light spills in through the windows to the ceremony space. For years, however, one little thing that was holding brides and grooms back from booking was their booking policy. 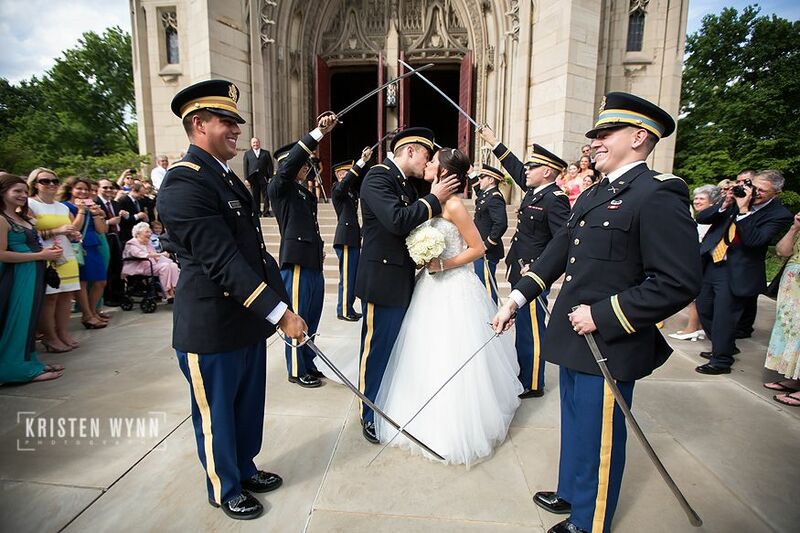 It was policy that Heinz Chapel could only be booked one year out from the wedding month, starting on the first business day of the month at 8:30am on the dot over the phone. For example, an August 18th, 2018 bride would have previously had to start calling on August 1st, 2017. 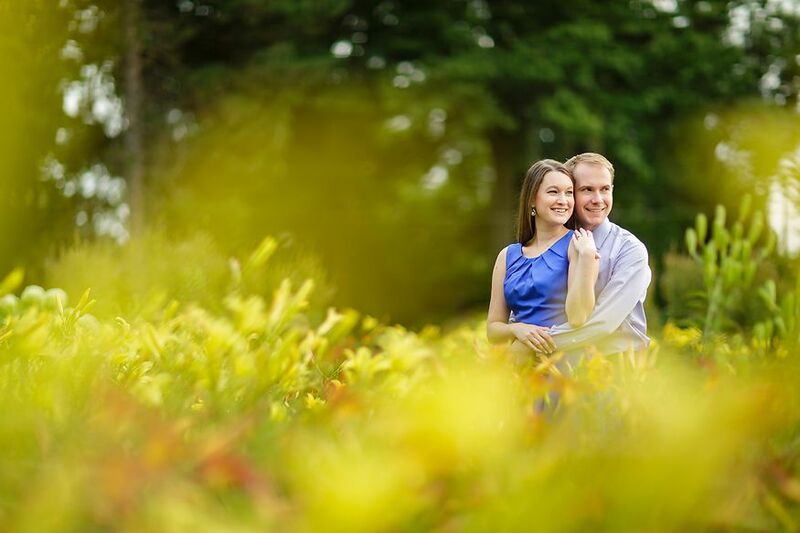 This created problems for interested couples – many reception sites book over two years in advance, especially for fall weddings! Additionally, previously, any couple must have had a Pitt affiliation of some sort – such as being a student or alum or working at Heinz. 1. No Pitt affiliation is needed. 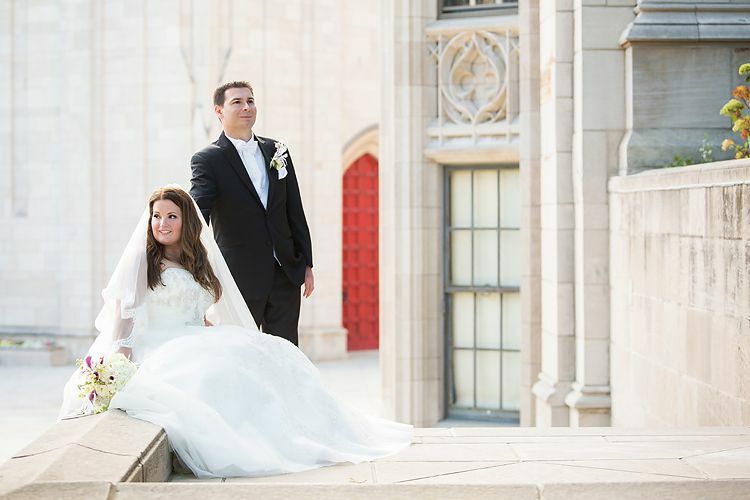 A bride or groom who does have a University of Pittsburgh degree can now receive 15% off fees. 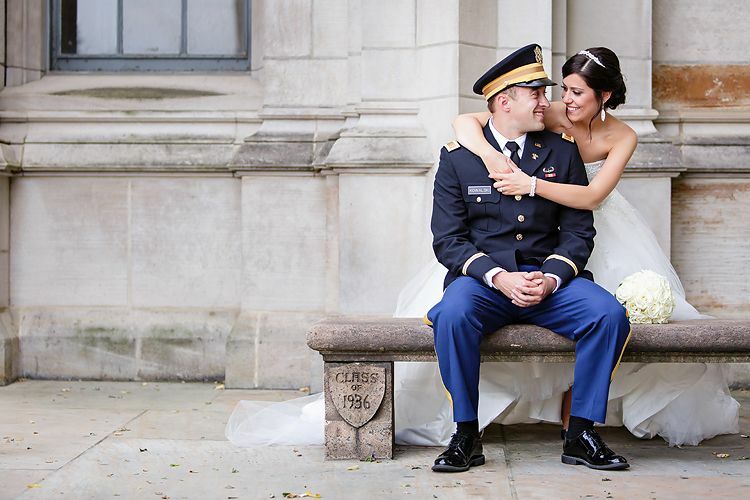 Current or former military brides or grooms receive a 20% discount. 2. You can book up to TWO years out on the first business day of the month in which you are hoping to be married. This year is a transitional year, so on the first of each month for this year, they are booking both one year and two years out. It seems the rush to get dates may now occur two years out, but after that, you can choose from any available dates and times. This may be a change to a more “organic”/as you get engaged booking process. This change really reflects the average engagement length of sixteen months in this country. 3. A slight change in time slots available, with two very convenient spots instead of one. For many years, the Holy Grail of time slots was the 4:30pm at Heinz Chapel. 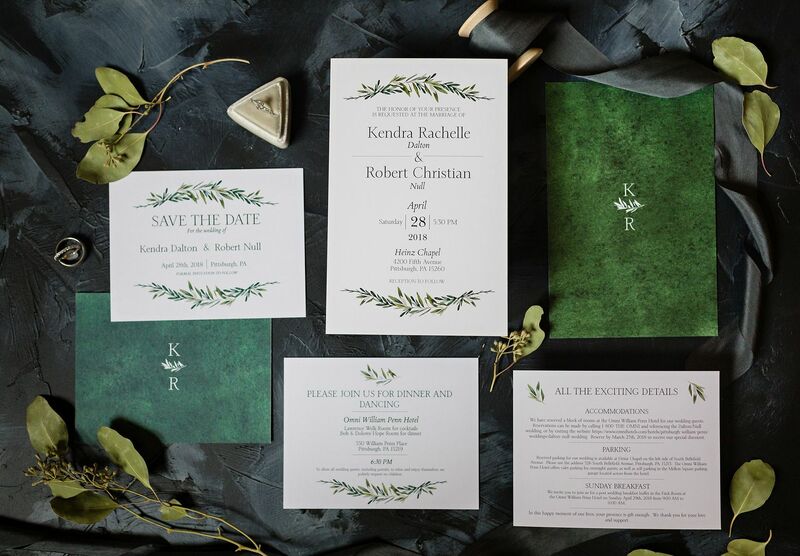 Heinz has restructured their times and I think it’s a positive for the couples – both 3:30 AND 5:30 are both great times for couples who want a minimal gap between ceremony and reception. Believe it or not, there are “urban legends” out there about how to best book Heinz Chapel, especially for the busy months. My previous brides have told me this is how they did it successfully. 1. They chose their wedding month, then listed in order the dates and times they preferred. 2. They gave all their family/friends a paper with their names, contact information, and wanted dates/times on it. 3. They had multiple people calling the office at the exact date and time that reservations opened. (Heinz Chapel does say they prefer if just one person calls to make the reservation! 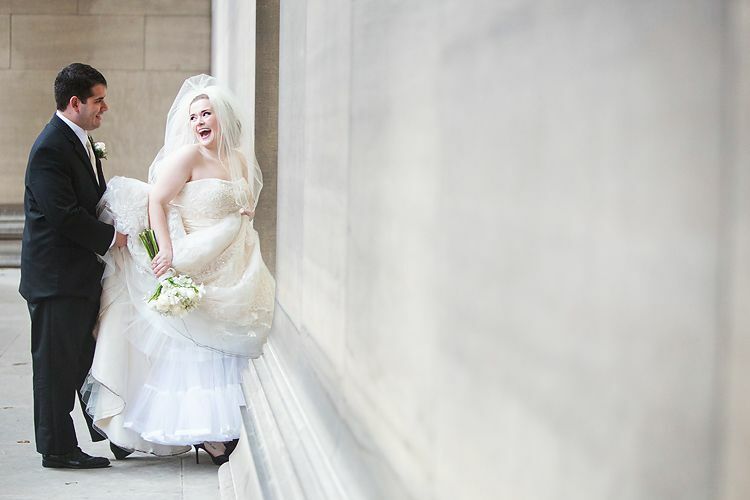 This is just what my brides and grooms have done, rulebreakers – I kid, I kid). 4. The biggest secret? Deep on online forums, brides have always whispered that a Pitt telephone connects faster. Is this a Pittsburgh urban legend? Or for years, has calling from your fiance’s office or little sister’s dorm really been the key to nabbing the best time slots? The world may never know!